Every year on 26th November, India celebrates the birthday of Dr Verghese Kurien as the National Milk Day and on his 96th birth anniversary GCMMF commemorated the event with a unique programme. 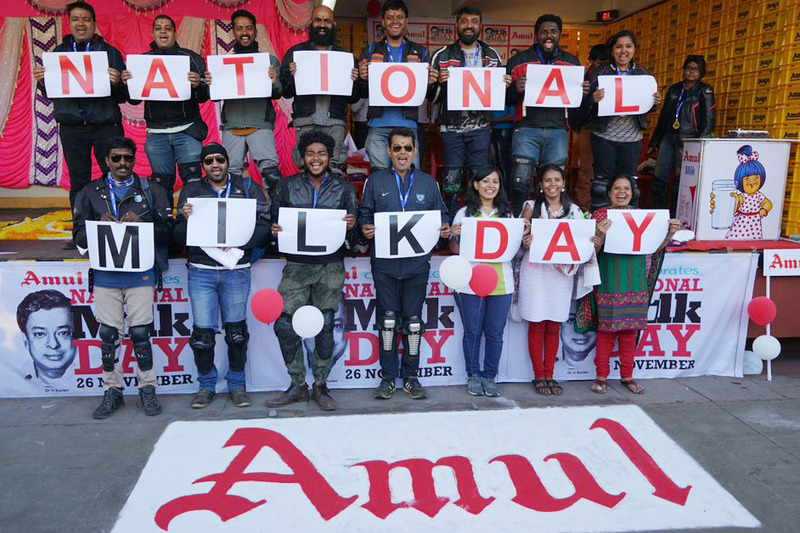 GCMMF-the owner of famed brand Amul organized a 7 day bike rally from 20th to 26th November spanning a total of 1700 km from Kozhikode, Kerala to Anand in Gujarat. This exciting journey is exploring the life and work of the man who turned India from a milk deficient nation to one of the largest producers of milk in the world. This was a tribute to the man as before him , India met the demand of about 74 per cent of its dairy needs through imports but the nation became the largest producer of milk in the world after Kurien’s emergence on the scene. The expedition by the name “Introducing Dr Kurien” aimed to keep afresh the value of Dr. Kurien’s contributions in the minds of all, especially the youth. What could be a better way to introduce the legend than hearing his story directly from the people whose lives have been touched by the Milkman! 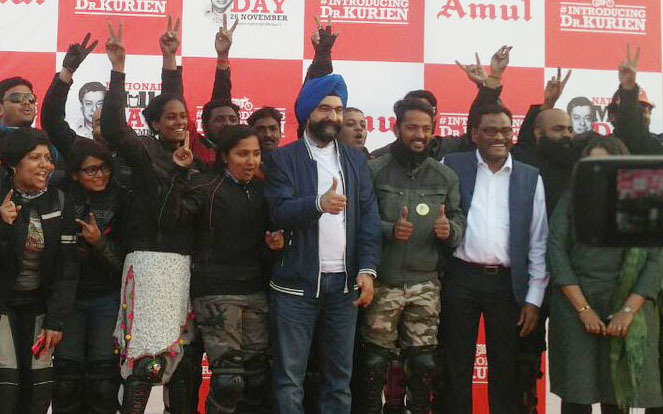 A team of about 30 bikers traversed the beautiful west coast of India through Kozhikode-Mangalore – Hubballi – Goa and then go through Kolhapur – Pune – Virar – Vadodara, to culminate in the grand finale at Anand, the milk town where Dr. Kurien spent a major portion of his life. Throughout this journey, the team met people whose lives have been touched by Dr. Kurien and visited various institutions created and inspired by the Milkman. The bikers started off On 20th November from Milma, Kozhikode Dairy in the presence of dignitaries like Gopala Kurup (Chairman, KCMMF), KN Surendran (Chairman, MRCMPU) and K M Jhala (Chief Operating Officer, GCMMF), read a GCMMF press release. On the way through Hubballi and Goa, there was display and distribution of milk and milk products by channel partners of the vast distribution network of brand Amul. Officials from Goa Dairy joined the rally at Cancaona region as they guided Dr. Kurien rally to the Goa Dairy. That was followed by a meet and greet with the officials of Kolhapur Zilla Sahakari Dudh popularly known as Utpadak Sangh Ltd. Gokul Dairy. This epic ride then turned towards a village in Maharashtra where the riders took a dive into the lives of farmers which were transformed by the Milkman. 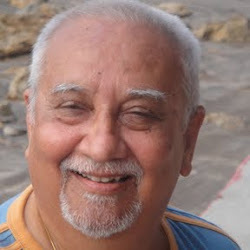 Later Kurien’s messengers were welcomed by Katraj Dairy, Pune. They also visited Amul Dairy and Ice cream plant, Virar. The bikers covered this crucial leg through Surat and Vadodara which are home to some of the strongest dairies set up by Dr. Kurien. A few employees of GCMMF also participated in this 1700 Km long stretch which is generally undertaken by seasoned bikers. But the enthusiasm was palpable as many officials from Milma (KCMMF), Nandini (KMF), Goa Dairy, and Gokul Dairy, joined the group of bikers for short stretches in their own state. On 26th November that is today the Kurien rally is to culminate in Anand where Kurien’s messengers are to be accorded a warm welcome. The place has been dolled up in all the splendors to receive them. 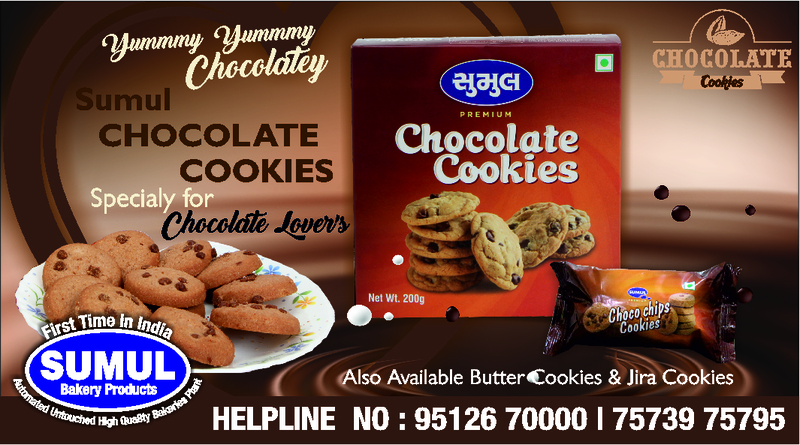 Bikers would also witness the production of the famous Amul Chocolates at Food Complex Mogar and would visit several institutes created or inspired by Dr Verghese Kurien such as Tribuvandas Foundation, Institute of Rural Management Anand, Anandalaya School, National Dairy Development Board, Vidya Dairy, and Indian Dairy Machinery Company. The pie on the cake would be a visit to Gujarat Cooperative Milk Marketing Federation, marketing house of the extremely popular brand AMUL, followed by a closing ceremony at Amul Dairy, reads the release.